Care South is a not-for-profit, caring charity and a leading provider of residential and home care across the south of England. Registered Charity No. 1014697. 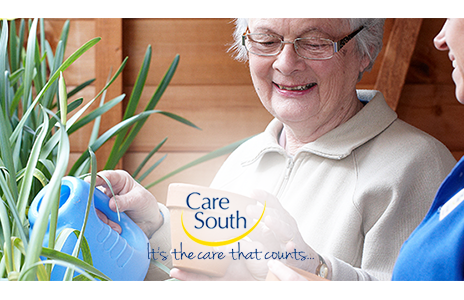 Care South has a genuine dedication to helping people get the best out of life and because of that we value our team. We know that it’s the care that counts of not only our residents and service users, but that of our employees that makes us a leading provider of home and residential care across the south of England. As a not-for-profit organisation and registered charity, we employ over 1,500 people across our 20 residential and home care locations and our HEART values of Honesty, Excellence, Approach, Respect and Teamwork are fundamental to the way we work, how colleagues are treated, and the care that we provide every day. You don’t just have to be a Care Assistant to work for Care South. We are also looking for a wide range of roles including Chefs, Laundry Assistants and Activities Co-ordinators. Please take a look at the Working for Care South tab above to find out more about working with us.